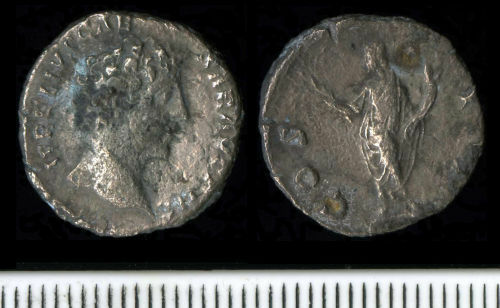 A silver denarius of Marcus Aurelius as Caesar dating to the period AD 145 to 147 (Reece period 7). COS II reverse type depicting Honos left holding branch and cornucopiae. Mint of Rome. RIC III, p. 80, no. 429a.